A Thousand Starving Sea Lion Pups on California Coast – Neptune 911! Nearly 1,100 sickly sea lion pups that should still be with their mothers have stranded in southern California since the beginning of this year, officials say. Biologists still don’t know exactly what’s causing the unusually high number of young animals to wash ashore, but there is one symptom that most of the pups share: They’re starving. “You can see bones through their skin,” said Sarah Wilkin, California’s marine mammal stranding coordinator for the National Oceanic and Atmospheric Administration (NOAA). The leading hypothesis is that environmental conditions are cutting the sea lion pups’ supply of food like anchovies and sardines, Wilkin told reporters today (April 4). While adult sea lions and other marine mammals are more adaptable and can change their feeding habits in the face of a shortage, pups are more limited in how far they can travel for food and what they can eat. For now, assessing the prematurely weaned sea lions is like trying to assess a patient without having their medical history. “We don’t know how long they’ve been independent; we don’t know how long they’ve been trying to survive in the ocean on their own,” Wilkin said, adding that most of the sea lions that strand are found alive, and they have a 20 percent to 30 percent mortality rate . Biologists have noted bacterial infections on some of the stranded sea lions, but those might be considered a secondary illness, contracted by animals with an already compromised immune system. 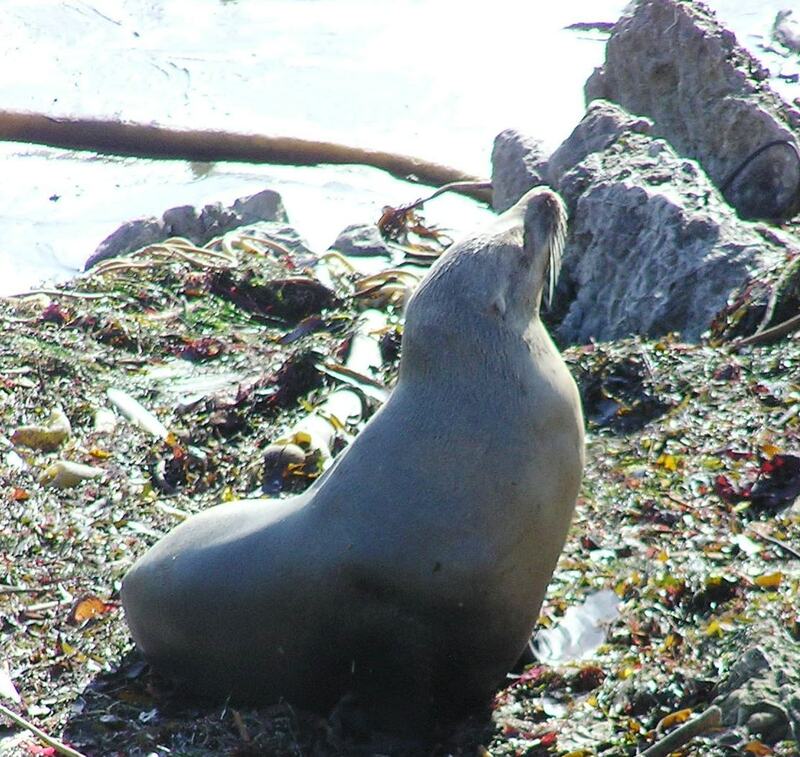 Wilkin said many sea lions in Ventura County have also been infected with lice. The problem is most pronounced in Los Angeles County, where 395 sea lion strandings have been reported this year as of March 24, according to NOAA figures released last week. During the same period in 2012, just 36 strandings were reported. Marine mammal rehabilitation centers in the area are overwhelmed — and many are at capacity — with starving, hypothermic and dehydrated pups. Except in critical cases, officials have been resorting to intensive triage on the beach to treat many of the sick sea lions, Wilkin said. She added that the public would do well to give the sickly animals space so that they don’t get stressed. “We have had some reports of sea lions biting well-intentioned people who are trying to help them,” Wilkin said. The goal is to get these animals healthy and rehabilitated so that they can be tagged and safely released back into the wild. Wilkin did not have an estimate of how many stranded pups had been released so far. She said about five that were released had restranded. If a sea lion pup keeps restranding, veterinarians might determine that the animal should remain in captivity. Sometimes those animals go on to help scientists. Take Ronan, for example, a California sea lion that stranded three times before she was taken in to the Pinniped Cognition and Sensory Systems Laboratory at the University of California, Santa Cruz. She made headlines this week when researchers published the results of a study that showed the sea lion had learned how to headbang to songs like the Backstreet Boys’ “Everybody.” Ronan might be the first non-human mammal to prove she can dance.